“I love the incredible scope of medicine that veterinarians can practice and experience on a daily basis. From essential wellness care to emergency surgery, advanced dental procedures, video endoscopy, cardiology, and oncology, the list is endless, all on a variety of species and all on any given day. 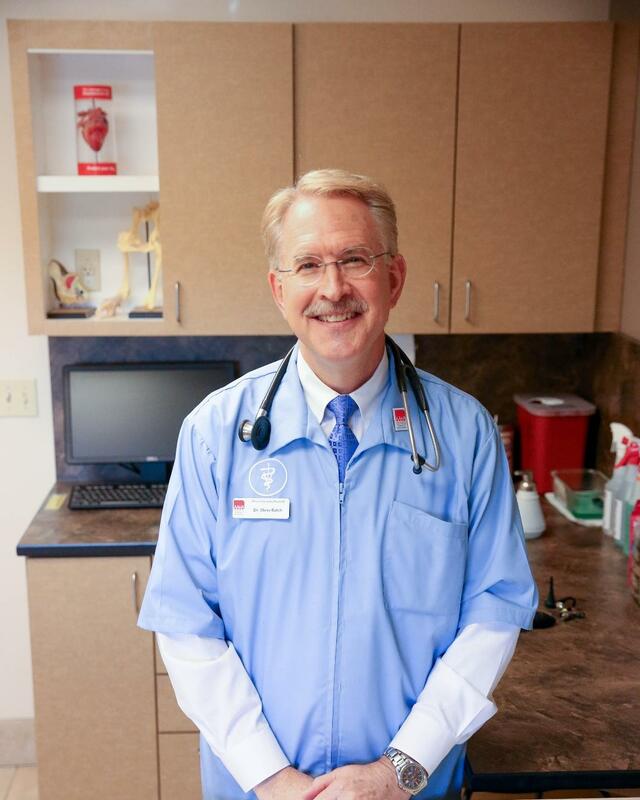 Dr. Batch has a well-rounded life outside of the hospital and spends plenty of quality time with his wife, his two adult daughters, their husbands, and his grandchildren. Dr. Batch thinks that grandchildren are the best! They make him smile and bring him so much joy. One of his favorite family times is gathering together to cook great food. The outdoors also plays an important role in Dr. Batch’s recreational time and he enjoys catch-and-release fly fishing. A little-known fact about Dr. Batch is that he loves singing. He has been a member of a singing group or ensemble for most of his life. Choral and small ensemble vocal music feeds his soul and takes him places he would otherwise never have gone. Vocal jazz as well as secular and sacred music in a choral setting is priceless to Dr. Batch and occupies a few hours of his time every week.